Parts and Accessories Available for your Boat! Tried and True Products for Everyday Life! Check Out These New Products Being Offered!! 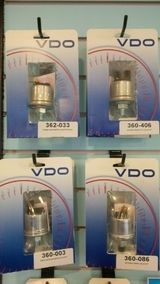 We are Now Supplying VDO Marine Instruments and Senders. We have the Senders to Fit Your Application Including 0-400PSI Oil Pressure Senders for Transmissions! 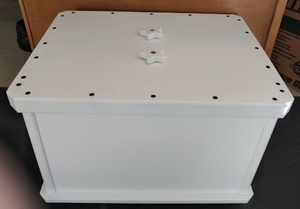 We Are Now Supplying Custom Made Battery Boxes. New ECP Marine Gauges by ECMS are now Available at our North Vancouver Location. These Gauges Feature 316SS Bezels and Fasteners. They Are Waterproof to IP67. The Domed Glass Lens is Perfect for a New Look for Your Boat. In Addition to Traditional Needle Pointer We have Digital Conversion for Older Analog Engines. With Application for Diesel or Gas We have You Covered! 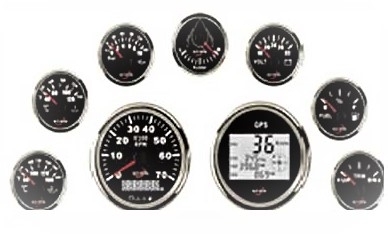 Be Sure to Check Them out at Our Store - These Gauge Clusters can be Customized to suit Your Installation whether it be Twin Engines or Twin Station or Both. 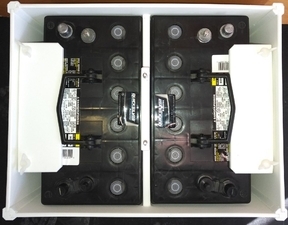 With an Input Range of 9-32VDC They can Be Installed in any Vessel. They are Very Competitively Priced as Well! With Current Available Stock in Competition Black With White Lettering or Competition White with Black Lettering They Will Suit Most Every Dash. With Multiple Colored SS Bezels Available We can Customize to Suit Your Install. We Welcome Dealer and OEM Inquiries for This Product! We Now Have a Complete Line of C5 Style Tank Level Senders or Reed Style Senders. Made From All Stainless Steel Construction, These Senders are the Perfect Choice for Your Tanks. They Are Suitable For Almost any Liquid Including Gas, Diesel, Oil and Water. We have a Full Line From 5" to 36" in Stock with Larger Custom Lengths Available! The C5 Sender has a Standard SAE 5 Bolt Hole Pattern Making it a Simple Installation or Retrofit. We Offer Very Competitive Pricing! We Welcome Dealer and OEM Inquiries! See Our New Senders at Our North Vancouver Location! 1516 Columbia Street! We are Also Carrying the C3 Style Thread in Flange Style Level Senders! Get Your PCOC - Pleasure Craft Operator Card at Three Branch Supply! We are Now a Testing Center for Your PCOC Licence! As an Affiliate We are Administering the Exam in Person at our Facility in North Vancouver. We Will Be Carrying the HRO and Village Marine Reverse Osmosis Water Purification Systems this Year!! In Stock Products Include Gallons, Quarts, 12oz Spray, Right Rinse, "NEW" Simple Prep "NEW", and Tuff Prep. We are now Dealers for Imtra Marine! See us for all Your Lighting Requirements From Imtra Marine! 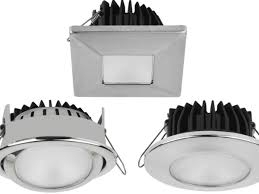 The Ventura Series LED Lighting is Elegant and Perfect for Your Staterooms or Pilothouse Lighting! We Can Help You With Your Side Power Spare Parts, and Exalto Wiper Systems! All Anodes, and Select Propeller Service Kits For Side Power "In Stock"
Eikon and Idea Solutions for Switches/Plugs and Covers by Vimar Offered Here! Introducing New G10 FR4 Glass/Epoxy Sheet! We Now Have This Product in Stock! 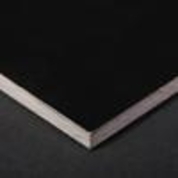 Black FR4 is a Fire Retardant Epoxy Laminate Sheet. It is a High Strength Fiberglass/Epoxy Sheet Available in Many Different Sizes and Thickness to Accommodate Almost Any Installation Requirement. It is an Excellent Choice for Installations as It is Non Conductive and Can Be Polished to a Brilliant Finish! It is a Versatile Product. Its FR4 Rating Makes it Excellent for Electrical Board Installation. As Well it is a Structural Laminate for Use in Bulkhead or Mounting in Fibreglass Installations. Although We Currently Stock the Black Material, We can 'Special Order' the Natural or the Green FR4 Product as Well. We are Currently Stocking Various Sizes in 1/8", 1/4", 3/8", and 1/2" Ask Us About Other Sizes You May be Interested In! We are Now a Stocking Dealer for Magnum Inverters and Chargers! 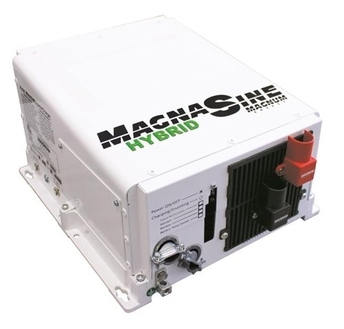 The MSH3012 Hybrid Pictured Here Delivers a Whopping 3000W of Pure Sine Wave Power! 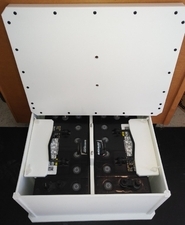 It's also a Hybrid Allowing You to Tap into Your Battery Power When You Need More Power Than Your AC Source can Provide Without the Need For Switching Over. It is Available Now at Our Store! Ask For the RC50 Remote Panel or the ME-SBC Battery Combiner and Charge Your Engine Batteries With Your New Magnum Energy Inverter! Your North Vancouver Marine Supply Store! !